Normative Skills was introduced to assist the development of a well-rounded Actuary. The program is delivered over 2-4 years for TASSA, Associate or Fellowship levels. The Normative Skills workshops and modules will provide students with learning opportunities that can be further enhanced during the work based learning journey. Normative capabilities are defined as those capabilities required by a profession to deliver on its professional promise. Students need to pass Normative Skills to qualify as an Associate / Fellow from ASSA. Work Based Learning (WBL) has the objective to narrow the gap between the theory that you will be exposed to in the Normative Skills programmes and practice (the work environment) and provide the student with an opportunity to learn and develop skills in a realistic day-to-day working environment. Research suggests that the context in which skills are developed influence how effective they are in the workplace. Get more information in WBL here. Foundation APP consists out of 3 Modules that can be completed over a 1 year period. Most of the material will be delivered in an online eLearning format as well as webinars and submitted assignments. Each module will have pre-work as well as an Assessment to close out the module. All students that are not exempted by the exemption criteria as set out below need to register for Foundation APP. Note that there will be transition arrangements and exemption criteria in place up until 2021 for students in accredited study programs at universities. Please read the documentation carefully. All students who join ASSA as a student member before 1 January 2018. Students who join ASSA as a student member before 1 January 2020 and who meet the admission criteria for Core APP namely who have passed (or been exempted from) all of the A1 and A2 subjects, at the time of first joining ASSA. Students who meet the university requirements to graduate with an accredited degree from an ASSA level 2 or 3 accredited university before 1 January 2021. Core APP introduces the key normative concepts and requirements for a student that has entered the work environment. The skills introduced in the Core APP should be put into practice by the student as part of the Work Based Learning component of Normative Skills. Core APP consists our of 4 Workshops that can be completed over a 2 year period. Workshops may have pre-work and assignments that are due before the workshop. Most workshops also conclude with an exam or formal assessment component. Workshops must be attended in either Cpt or Jhb. Active participation in the workshops is a criteria for obtaining credit for attendance to the workshop. Read the following admissions criteria carefully to see if you need to register for Core APP. Fellowship APP is the final normative skills workshop for students pursuing the FASSA designation . 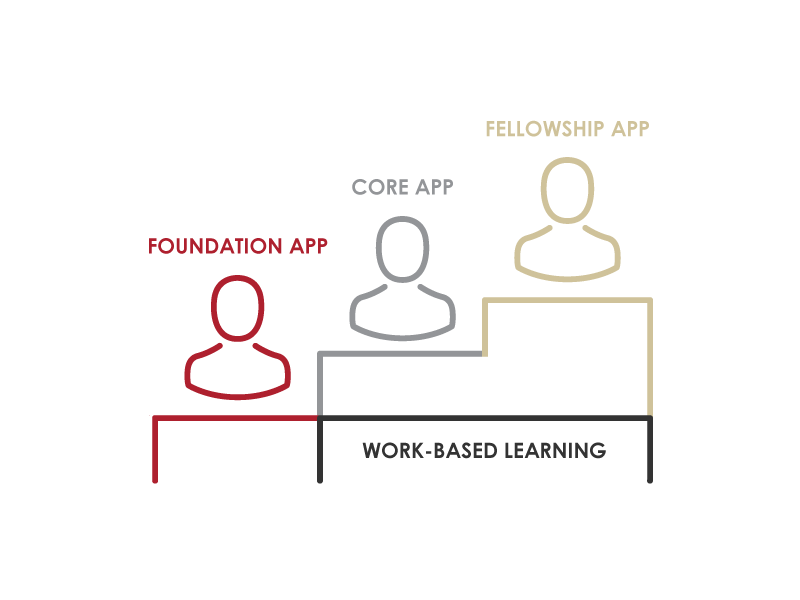 The focus on the Fellowship APP is around professionalism and ethics as well as integrating all of the normative skills gained to date. A 2 day compulsory stay-over workshop. Students will also receive pre-work before the workshop is attended. Successful completion of all the Core APP workshops. Core APP was implemented in 2015 which means that we currently only have a hand full of “true Normative Skills Fellowship APP” students. For this reason students may be requested to attend the “old” Professionalism course which meets all the syllabus objectives of Fellowship APP. We ask that students please be patient with the few elements in Professionalism course that may be a duplication of Workshop 4 (Core APP). We will shortly have enough capacity Fellowship APP students to justify a separate course. The Professionalism Course aims to provide you with an opportunity to reflect on what it means to be a professional and to facilitate knowledge of the obligations, risks and the legal responsibilities of being a member of the actuarial profession. It focuses on the professions Code of Conduct and its practical applications, the ethical requirements of being an actuary and the dilemmas likely to be faced in practice. Student members of the Actuarial Society of South Africa, who have completed their actuarial examinations and their practical experience requirement, must meet the Actuarial Society of South Africa requirements on professionalism before they will be admitted as Fellow members.